Is your old suit a museum piece? 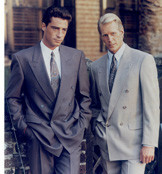 M&S has been a leading seller of men's suits since the early 1970s, and has been responsible for many suit innovations, from perfectly colour matched separates in the 1970s, to machine washable suits from the 1980s onwards and storm proof and ipod suits more recently. The M&S Company Archive holds tens of thousands of items dating from throughout the Company's long history, but we only have a handful of men's suits. 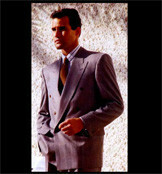 We're really eager to expand our collection, and would welcome suits from any decade (even this one! ).